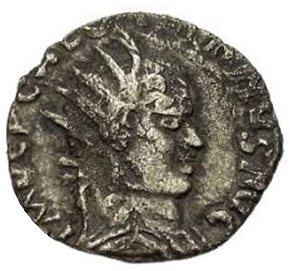 11) This Usurper in Pannonia - 260-261 AD - was one of the generals of a defeated Emperor a) which Emperor? b) The Usurper was called ? c) He was a native of which Province? d) He was said to be a descendant of the famous King of that area, who was..? e) which king was defeated by which Roman Emperor? f) What was the name of this Usurper's wife ( 2 words) ?